Today, anyone can create content and call themselves a publisher, which means we need to work especially hard to cut through the clutter and get through to a person at the right time in the right place. Key to harnessing video to tell stories people care about and engage with, is to observe what the medium is already telling us about human behaviour and how people are engaging and interacting with video content in the newsfeed. Unlike traditional TV advertising, social videos need to do more than reach their target audience. They also need to engage with the audience, and be part of its wider community. One of the best examples is Buzzfeed’s successful ‘Tasty’ food channel on Facebook. 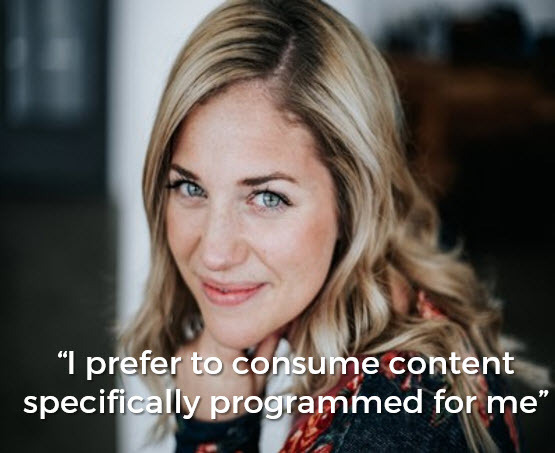 Rather than starting with the premise, say that ‘many people like content about food’, Buzzfeed’s approach was to think about what sort of content would work best in the ‘feed’. One of the more surprising discoveries was that people didn’t seem to care if there was no sound. More generally, it became apparent the audience wasn’t interested in the sort of ‘sanitised’ cooking shows, hosted by the likes of Martha Stewart. Rather, the best responses occurred with content the audience could relate to. So what might typically be edited out of a more traditional TV cooking show, gets left in. For an even better example showing the power of ‘authenticity’, check out this Jalapeño Popper Dip-Stuffed Chicken video, which managed to achieve a stunning 23 million views. Something that would have been unimaginable even just five years ago, let alone in the ‘glory days’ of commercial TV, is the idea that small videos could not only be shot and chopped up according to personal likes and dislikes, but then also targeted at very-specific audience groups. But with the growing sophistication of social media platforms and the software algorithms underpinning them, this is now more than a reality. It’s becoming standard practice. Looking again at Buzzfeed, its 3-part Puppyhood series with health brand Purina made use of marketing automation tools to craft and deliver different messages according to whether someone had watched all of the videos, or just part of one. It also targeted people who might have visited Buzzfeed before, or who Facebook was able to identify as a dog-owner by their interests. With forward-looking marketers now catching-on to these sorts of capabilities, it’s time you started on the path to creating a great social video strategy for your brand. Once you’ve got your story figured out and created the content to tell it, next you need to think about how to deliver it. It’s an interesting challenge; and as we are seeing, a challenge that’s constantly evolving. For example, consider the same user on Facebook, Instagram and Snapchat. Or a group of people on the same platform and device. 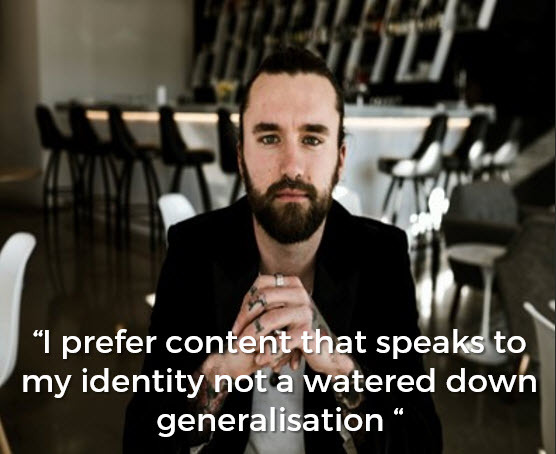 There are many different permutations, but it’s all about how people are going to act and feel when they consume your content that matters. Of course, you need to have your content sit on platforms other than your own. But the decision about what other platforms you should consider, and indeed how you should consider them, requires some thought. For example, if you think about the top social channels of Twitter, Facebook, Instagram, Pinterest, Snapchat and YouTube, they are all different in terms of why and what people use them for. Further to that, they all present different opportunities and have different characteristics in terms of how you post, monitor and manage content, as well as how much it costs. This creates challenges. But it also creates opportunities for brands to engage with people and audiences in different ways. Most importantly, you need to be where your audience is so your video content is on-demand allowing users to engage with you whenever and wherever. A powerful aspect of video content that people are only now discovering is its ability to create — or strengthen — emotional connections between people. Most of us have shared content with friends, family or colleagues. And as we all know, the act of sharing, in itself, has special meaning in the way it brings people together. But with video, these emotional connections can be even greater, because of medium offers potential to say something ‘better’ than any of us could say ourselves. Digital audiences are not passive viewers in the way that TV viewers are. Videos need to be designed with many things in mind, including likely short attention spans, individual relevance, and previous behaviour. Most importantly of all, is whether the content is likely to be ‘shared’.